If you or someone you love has been seriously injured in an accident, here at Accident Lawyer Hawaii we'll help you get your life back together again. Top Personal Injury Attorneys Bill Lawson and Amy Woodward concentrate in handling serious personal injury and death claims. With qualifications that are Top Rated by Martindale Hubbell, AVVO and Lawyers.com, over 30 years of experience, and multi-million dollar jury verdicts at trial, our clients and peers have told us that we are some of the best personal injury lawyers in the State of Hawaii. The four graphics just above - have drop-down menus. These menus "What We Do", "Practice Areas", "Proven Results" and "Free Consulation" - can help you to find the information important to you on our site. 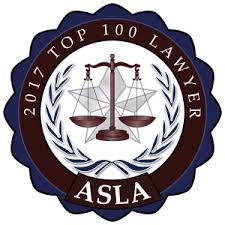 We have information about "Preparing (investigating) Your Claim after an Injury", "Brain Injuries", "Burn Injuries", "Wrongful Death", "Motor Vehicle Accidents", "Maui, Lanai, Kauai and Big Island Cases", "Products Liability", "Construction Accidents", "Falls", our "Personal Injury Awards and Honors", "Reviews and Testimonials" and much more. Just move your mouse over the graphics, select the information which interests you and click. Here at Accident Lawyer Hawaii we handle all types of serious injuries and changed lives, as well as wrongful death claims. We help people and families get back on their feet again. If you or someone you love has been severely injured due to someone else's negligence, please contact us for a free consulation. We would love to have the opportunity to try to help you and your family get your life back together again. Top Personal Injury Attorneys Bill Lawson and Amy Woodward concentrate in handling serious personal injury and death claims arising out of the wrongful conduct of others. 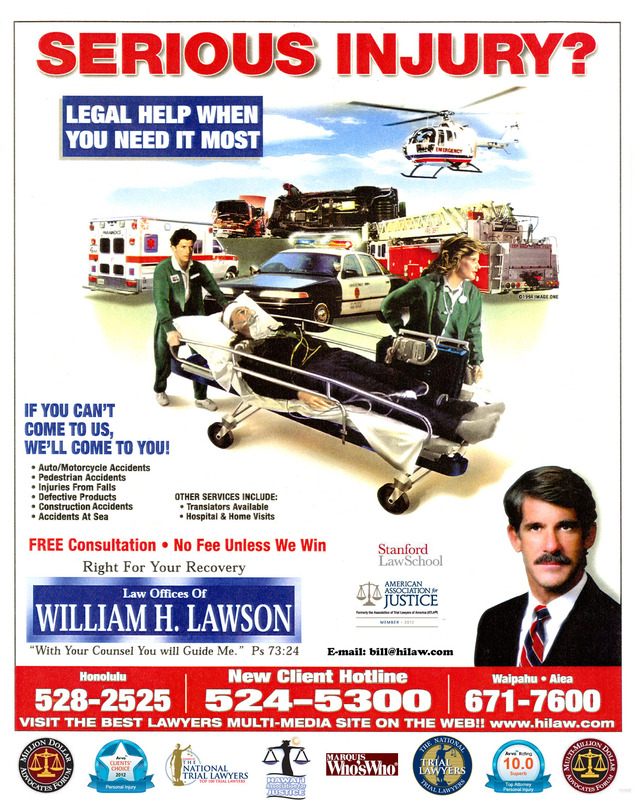 You may also like to visit our sister site HiLaw.com at Hawaii Personal Injury Lawyer William H. Lawson. With qualifications that are Top Rated by Martindale Hubbell, AVVO and Lawyers.com, over 30 years of experience, and multi-million dollar jury verdicts at trial, our clients and peers have told us that we are one of the best personal injury law firms in the State of Hawaii.